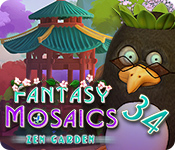 Fantasy Mosaics 34: Zen Garden is rated 3.5 out of 5 by 13. 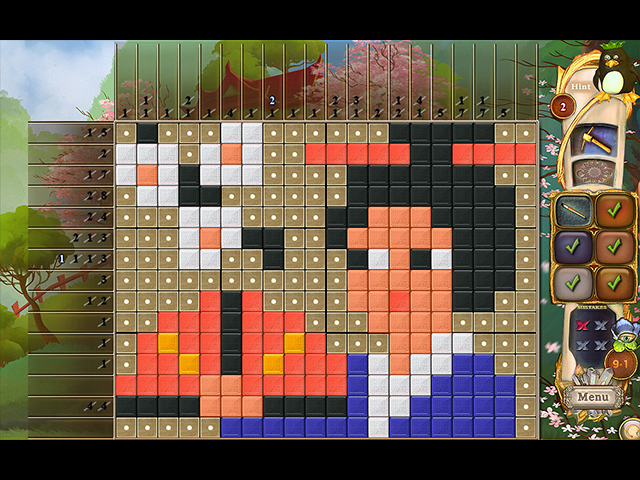 Rated 5 out of 5 by dia317 from I love a challenge I stopped buying Fantasy Mosaics because they became tired. The new Zen challenge got me hooked again. Bring on more! Rated 5 out of 5 by Teakapacem from Zen Surprised Me Bought the game ('cause I always do) and was surprised how quickly I caught on to the Zen mode. Even more surprising was how relaxing it was, since there are no penalties for errors and you can fix your mistakes. The freedom to experiment was fun. Rated 5 out of 5 by zandu2 from I'm happy with the outcome... I am loving the colors an i am truly enjoying it. I feel bad for the negative reviews and can' see why. I love what you have done to 32 and 33, I know that's is other games, I couldn't help myself... I guess every one is different and that's fine by me. So, as I said I'm loving it and find it to be a great game!! Oh, and you have done some wonderful designs. I'm pleased.. Rated 5 out of 5 by arnold1049 from FIVE STARS FOR SURE I purchase all the games in this series as soon as they are issued. I never play the demo as I know I will be happy with my purchase. This last game is no disappointment. My review is based on around 2 hours of playing the game. I'm not sure that I would classify a new level of difficulty, the "Zen" option, as anything really "new", but that certainly doesn't distract from its other charms. As with the last game, the graphics are brighter and more definitive. 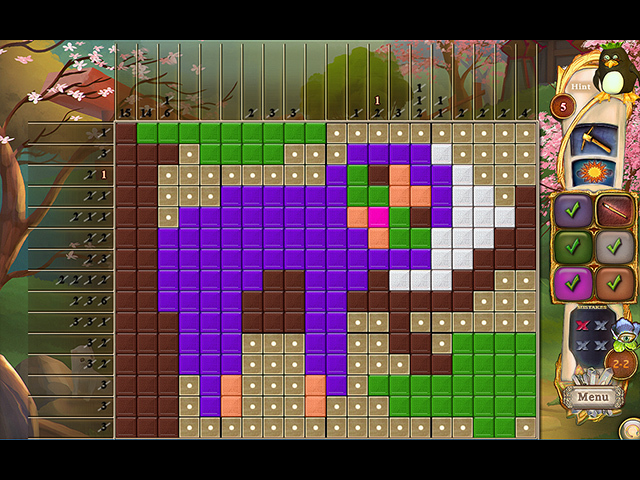 The game itself fits in with the challenges provided by previous games; the longer you play, the harder the grids become. The multiple colors allow a lot of diversity and with the option that doesn't unlock more colors until you have solved a good portion of the previous color makes for challenging play. This is just a fun, happy game to enjoy at leisure. I highly recommend it. Rated 5 out of 5 by Dargonnoone from Zen is good I have got a bit jaded with these types of games but thought I would give this one a go as the zen version intrigued me. I'm so pleased i did. It gives a different value to the game and makes it a bit harder with the rules different. Took me a while to cotton on but I did eventually. I don't whizz through the games as I find them a bit harder than the normal ones but now I hope lots of these games have a zen level. Rated 3 out of 5 by LanaPook from I like to go for the stars. This game is tried and true and yet...I would be so much more happy if it allowed me to go back and improve my performance. In all games of this series if you slog through a level with many mistakes you still get three stars. If you always win how fun is that? I like a challenge. You could add it as a setting for those who like to get three stars for a perfect score. Please! Rated 2 out of 5 by Lionessa from Zen mode did not work I wanted to love this game. And when the new "Zen mode" worked it was a great change! But unfortunately, it did not work consistently. I would mark off boxes and then mark off others and it would clear the previously marked boxes and it turned into being annoying and not fun at all. I have been a great fan of the Penguins but I am so glad I tried the game first and found this flaw. Hope future games will be worth buying. I guess I will sadly have to pass on this one and it seemed like such a great idea! I know they say not to report technical issues but in fact I looked on the help pages and didn't find any help. So forewarned to make sure it works for you before you buy. Rated 2 out of 5 by xera5 from boring I absolutly love Fantasy Mosaic. Have them all and play them often. 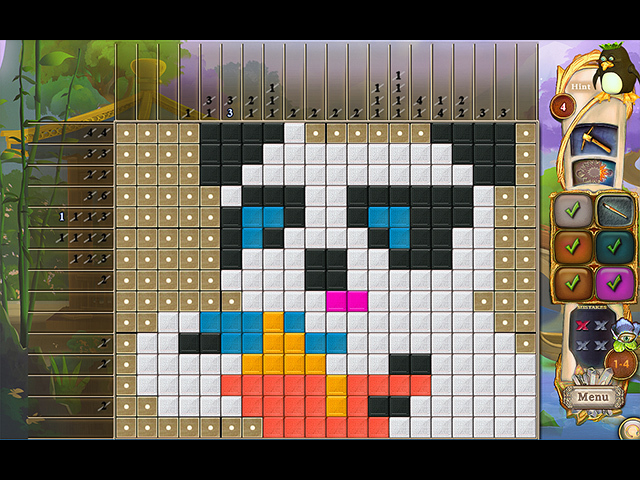 But this game is too easy and the colours ar dull and makes hte gaming experience less enjoyable.